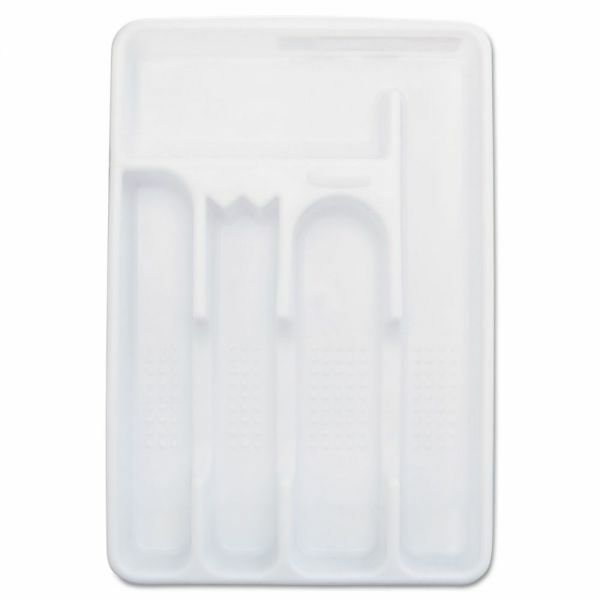 Perfect for organizing flatware and gadgets. 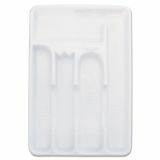 Has separate compartments for knives, forks, spoons and extra utensils. Use it to organize messy drawers. 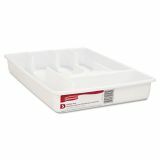 Rubbermaid Small Cutlery Tray, Plastic, 6/Case - Small, plastic cutlery tray is perfect for organizing flatware and gadgets. 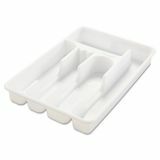 Has separate compartments for knives, forks, spoons and extra utensils. Great for breakroom use. Ideal for organizing messy drawers.